Suffering a pinched nerve from spondylolisthesis is one possible consequence of vertebral migration and the resulting spinal or foraminal stenosis. When the spinal bones do not line up correctly, as naturally designed, the patency of the central spinal canal and neural foramina is reduced in effective size. Either form of stenosis can cause a pinched nerve to develop, if the diameter of the affected canal space reaches a critical level of narrowing. Pinched nerves are known to be some of the most often misdiagnosed of all spinal abnormalities. Additionally, even when correctly diagnosed, the facts concerning actual pinched nerves differ greatly from public perception, especially when it comes to expressed symptomology. This essay examines how pinched nerves can occur in association with a vertebral listhesis condition. We will explain the nerve compression process and differentiate it from simple structural stenosis and canal narrowing. Finally, we will detail the actual expected symptoms of a pinched nerve in order to help patients better identify these conditions and prevent misdiagnosis from sabotaging them in their quest for back pain relief. 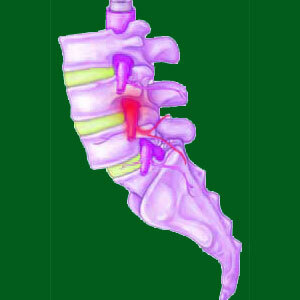 Both anterolisthesis and retrolisthesis change the normal alignment of the spine in the sagittal plane. Spondylolisthesis involves a shift of one or more vertebral bones forwards or backwards, out of alignment with the remainder of the adjacent vertebrae. This slippage of one or more vertebrae contributes to conditions known as spinal stenosis and foraminal stenosis. Spinal stenosis describes changes in the central vertebral canal. This is the space which runs the entire length of the spine vertically. The central spinal canal is located posterior to the vertebral bodies and anterior of the spinous processes, articular processes and lamina, where the pars interarticularis resides. In essence, the vertebral canal is a hollow space through the middle of each vertebral bone that contains various membranes, cerebral spinal fluid, the spinal cord and spinal nerves, among other tissues. When the central canal becomes stenotic, blockages form and/or misalignments occur that can negatively influence the spinal cord or spinal nerve roots via structural compression. Foraminal stenosis describes similar narrowing changes to the neural foramina. These are openings in between each vertebral bone that allow horizontal egress of the spinal nerve roots from the backbone. The neural foramen reside posterior to the intervertebral disc that separates the 2 bones and anterior to the facet joints composed of the superior and inferior articular processes from the 2 adjacent vertebrae. When the foraminal openings are narrowed, the exiting nerve root may suffer structural compression. Listhesis misaligns the central and foraminal canals. Their edges no longer form a smooth, continuous passageway for nerves to travel, but instead are disjointed and partially blocked. Listhesis rarely exists at a degree to create symptomatic versions of central or foraminal stenosis by itself. However, it is crucial to remember that both forms of stenosis are normal consequences of age and activity and are usually created by a combination of factors working together. Therefore, when the already normal contributors to stenosis, including osteoarthritis and disc desiccation, and possible alternative contributors, such as intervertebral herniation, facet joint hypertrophy and atypical spinal curvatures combine with listhesis, there is a greater chance of the person suffering more significant degrees of stenosis which might enact neurological compression. Listhesis can exacerbate all the other causes of stenosis, since vertebral misalignment places greater stress on the facet joints and spinal discs, facilitating degeneration and herniation respectively. Listhesis can also influence scoliosis, lordosis and kyphosis, potentially narrowing the spinal canals further. Most listhesis occurs at L5. In these cases, it is vital to understand that the spinal cord has already ended and has been replaced by the cauda equina. Therefore, even when central canal stenosis compresses nerve tissue, symptoms will be different than in the cervical spine, where compression will influence the spinal cord rather than the nerve roots. Pinched nerves can occur within the central canal space, in the lateral recess on the side of the central canal or within the foraminal openings. A compressive neuropathy condition may or may not involve any pain. Some examples are painful locally and/or in the innervated areas of the body when they first occur. 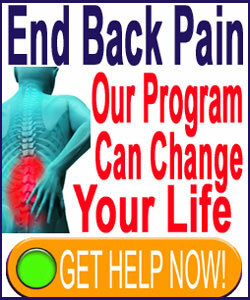 However, pain will usually fade rather quickly as the nerve loses its ability to signal correctly. Symptoms will progress from tingling to progressive numbness to anatomical weakness in affected innervated regions. Timeline of progression varies, but can occur within hours in highly acute circumstances or weeks in less acute scenarios. As weakness sets in, functional deficits are likely to occur. These deficits will be readily observable during neurological evaluation. Chronic pain is not a typical symptom of a pinched nerve. This is a widely-held myth that is misunderstood by most people. Additionally, just because stenosis occurs in the central or foraminal canals does not mean that a pinched nerve will occur. Stenosis must be very severe for any neurological effects to commence, especially when it affects the foraminal openings, which must be virtually completely sealed off in order to truly warrant symptoms.